Causes of Osteoporosis and How You Can Prevent or Reverse It. Causes of Osteoporosis - How You Can Prevent or Reverse It! The causes of osteoporosis give us some clues to the best way to alleviate it. Let’s examine the proper exercises for osteoporosis and the correct osteoporosis diet. There are causes that you can address with exercise and nutrition. Interestingly, the causes that medical science thinks are inevitable include old age, and estrogen deficiency. While it is true that aging is inevitable, antiaging can counter many age related problems including osteoporosis. It could very well be that estrogen deficiency could be due, in part to an unhealthy lifestyle, which is definitely under your control. 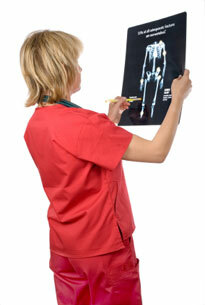 Thus the causes of osteoporosis may well be factors, which you can neutralize if you eat right and exercise properly. Exercises for osteoporosis and the right osteoporosis diet may be all you need to reverse or prevent the disease. Once again, the nutritional steps that you should take start with the use of blood typing, and metabolic typing. These issues so significantly affect your health, that no dietary program can ignore them. You will need to pay particular attention to nutrients that support healthy hormonal function, which includes the correct essential fatty acids your body needs to make estrogen if you are a woman, and testosterone if you are a man. Each of the nutritional causes of osteoporosis could take a page of it’s own to explain, but suffice it to say that proper nutrition is essential for proper hormonal balance. If you cover all the nutritional bases, chances are you should never need medication or even bio-identical hormones. However, if it is necessary the application of bio-identical estrogens by a qualified antiaging doctor can safely provide you with the estrogen levels needed to reverse or prevent osteoporosis. The role of exercise in preventing osteoporosis is vital. Together with an osteoporosis diet, and possible estrogen supplementation, it is the only other factor that can influence the causes of osteoporosis and prevent or reverse osteoporosis in women or men. Strength training exercise is needed as it creates what is called mechanical loading, which is a fancy way of saying stress, on the muscles and bones. Mechanical loading creates bioelectrical signaling which causes the body to create more bone cells that will grow new bone thus causing an increase in bone density. Strength training also builds lean muscle mass, and this increase in muscle mass and strength increases the torsional stress placed upon your bones, again causing the electrical signaling that triggers the creation of new bone cells and increased bone density. Although cardiovascular exercise is important for the heart and lungs, it is not as effective in terms of exercises for osteoporosis, because the stress on the muscles and bones is not as intense. Remember that osteoporosis is ultimately under your control. You can prevent or reverse this condition by following a proper osteoporosis diet, exercising properly, and maintaining healthy estrogen if you are a woman and testosterone levels if you are a man. The causes of osteoporosis are all factors that can be controlled with a good antiaging program. This means that despite the popular perception of this condition, you can build and maintain strong, healthy bones all through your life!